The Edmonton 10K took place last Sunday and we as coaches are still riding the high, over a week later. "But guys, it was just a 10K, what's the big deal?" The big deal is that we've spoken about using our fitness outside these gym walls on numerous occasions (heck, it's on the main page on our website); this is and always will be our mantra. We want to be able to use our fitness in our day to day life, as we age, as we grow our families, as we conquer other fitness goals. For many of us, we have NEVER run a single distance longer that what would be programmed in a work out, which is on average 400m - 800m. 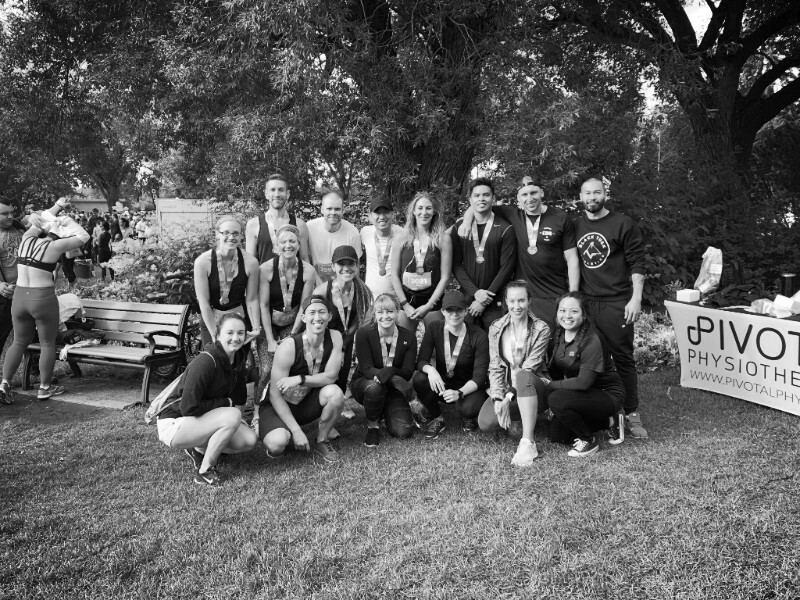 We had over 20 of our athletes register for the Edmonton 10K, some of us trained in addition to our regular CrossFit programming, others (who will remain nameless :P) didn't. One thing we all had in common was that we had a goal time that we wanted to reach. 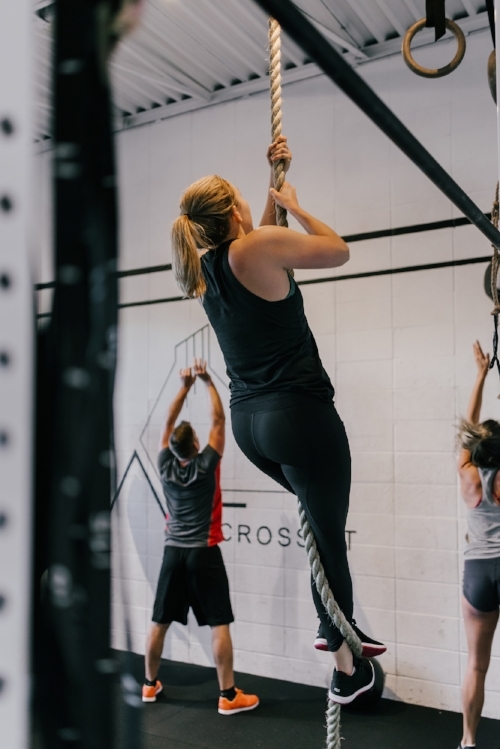 The beauty in this is that we all were able to apply the fitness we developed within these gym walls to our goals outside of Black Tusk. The mental grit it takes to keep pushing through even when every muscle in your body is telling you to stop. ALL of our athletes exceeded their goals and it is a true testament to all YOUR hard work and consistency. We put on a 10 week running clinic with our coaches Lindsey and Kelsie. With regular group class training and the addition of a 10 week running program, our athletes were able to smash their goals. Whether it was to finish a sub-50min 10KM or just to be able to finish the 10km period, we all did it! Let us first caveat this post with the following: at Black Tusk Athletics, we always want to ensure that every movement performed by our athletes is executed safely and properly to eliminate the possibility of injury. This includes modify the weight and movement so it is appropriate for the individual. This is paramount to everything else. This is our standard. So when we discuss the topic of “pain” as a result of exercise, we are basing it on the fact that the movements are not grossly misexecuted. With the above in mind, we’ve all heard buzzwords and phrases like “DOMS” or “no pain, no gain” but do I really need to feel pain to make gains, or who is Dom? A very commonly used term in the fitness industry is DOMS. DOMS is the acronym for Delayed Onset of Muscle Soreness. Muscle soreness typically peaks around 24-48 hours post workout. Symptoms can include swelling, tenderness, reduced muscle strength. This is not to be confused with sudden acute pain, which may arise during your workout. DOMS, more often than not, will occur when you are using muscles in a different capacity than you are used to. DOMS is actually the result of micro trauma in the muscles and surrounding connective tissue. This micro trauma (the tearing of your muscle fibers) will causes inflammation as your body is making adaptations to prepare your muscles for this training again, (ie. building muscle). Some athletes will wear DOMS as a badge of honor, going as far to say “I’m not even that sore, I must not have worked out hard enough”. The purpose of training and exercise is not to cripple ourselves. If, after three days, you try to do the same exercise and you can’t, you’ve likely gone too far. Soreness is not an accurate indicator of muscle adaptation or growth. There are many factors that influence how soreness is presented and DOMS isn’t the best gauge of how effective your workout was. But on the flip side, we want to be clear that DOMS isn’t a bad thing. Trauma to your muscle fibers is needed so that your body can repair and grow these muscles. When muscle fibers are repaired, they become larger and stronger than before. This is soreness. This is not to be confused with injury. There may be times when you may overexert yourself during a workout. So when should you be concerned? When it comes to injury, more often than not, the injury will elicit immediate acute pain, typically during your workout. This is not something you should ignore. Injuries on the most part will also last over 3 days, whereas the onset of soreness will usually both appear (the day after a workout) and will resolve itself gradually. At the end of the day DOMS isn’t something to fear, nor it is something to praise. For the long-term, you likely will experience DOMs every now and then but as you build more muscle, your strength and endurance will increase as well. At Black Tusk Athletics, we pride ourselves in keeping classes small, so we can work with you to minimize occurrences of injury.